Hotel ibis Leiden Centre is perfectly located for exploring the City of Keys. Leyden is replete with attractions, including the Castle (Burcht), St Peter's Church, the Hooglandse Church and Leyden City Hall. Also check out De Waag, natural history museum Naturalis and the 35 almshouses dotted around the city. Follow the Leidse Loper city walk through the historical centre of Leyden, or join in an evening tour of the Observatory of Leyden. And finish off with a boat trip through the city. Thank you so much for your kind words. We are thrilled to hear that you have enjoyed your stay. 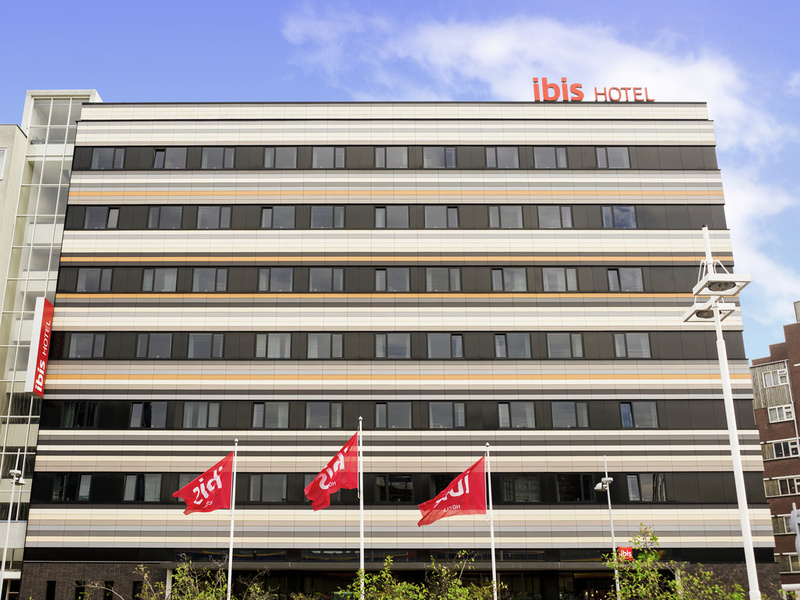 We very much look forward to welcoming you again to the Ibis Leiden Centre. This hotel is a typical Ibis hotel. It is clean, comfortable and located very conveniently for a visit to the lovely town of Leiden. Our room had everything we needed. The breakfast buffet is excellent in quality and value. The staff are without exception very friendly and helpful. Always get what is expected, more than basic, comfortable beds, good shower and a perfect breakfast buffet! It was good but the traffic was present. The room was good and clean but we missed a shoehorn in the room. The breakfast was very good and also the service. A suggestion, we wanted to buy bear without alcohol but there was non. It is a nice hotel situated near Leiden Centraal Railway Station. Some staff are friendly and helpful. I had difficulty sleeping two out of four nights due to plumbing noise coming from central heating system, could be caused by ‘kettling’. I had this problem before at the same hotel last year and reported it then. I also reported the same problem this time. I was advised that there is little that the hotel could do about this. Air conditioning was too noisy. Fire alarm went off for no reason. I could not park in the hotel parking area. Great breakfast, comfy bed, cold rooms with very poor heating. The hotel is on a great location, extremely clean and with excellent breakfast. However, I have to say that the heating with AC is really a bad solution, especially since you cannot change the mode of the heating unless you call the reception. In addition, once you turn off the AC, the room gets cold very fast. With this, it is very difficult to work in the room. In a single room the bed was very narrow. The room was clean and smelled good. Hotel room was basic but was fine as a one night stop for me and a friend. Breakfast was fine, egg and bacon, shame the advertised sausages weren't on offer. Hotel is directly across the road from the railway station which is perfect for those travelling by train. a clean and quiet room. This was the second time we have used this hotel. On both occasions we were very satisfied. On this last occasion we received a friendly welcome. We were provided with all the information we required etc. Our room easily met all our expectations. A very good experience. Stayed with family for 6 nights. Great location. Staff helpful and friendly. Room clean. Excellent bed. Morpoort multi storey car park 2 minutes away €10 per 24 hours. Outdoor car park behind hotel. Did not use the restaurant so cannot comment.Would happily stay again and recommend the hotel to others. Everything very good. Room clean and staff polite and helpful. We have been in this hotel many times. The personnel of the hotel is very friendly, polite and responsive. Despite the fact we have visited this hotel so many times before, we always wish to return there to again experience its pleasant and hospitable athmosphere. It was our tenth time in Ibis Leiden Centre. We always hope to return to Leiden, because we feel very warm here. Largely this is because of the atmosphere in the Ibis Hotel. This time our stay in this hotel was especially hospitable and unforgettable. It was so primarily thanks to the staff of the hotel, and in particular I would like to thank the hotel's employee - Miranda. Her humanity, intellectuality, ethic and professionalism made our stay so special. We owe deep gratitude and our best wishes to the great team of the Hotel Ibis Leiden Centre. We hope to visit this place again and again! I was completely satisfied with the Ibis Leiden Centre hotel. The room was comfortable, the breakfast exceeded expectations, and the staff were helpful. I chose Leiden and this hotel specifically as a base to explore central Holland, and as an alternative to Amsterdam, which has become a zoo for tourists. Leiden, on the other hand, retains it's charm as an authentic Dutch city.